When my little one is sick he just wants to snuggle in with something warm and sleep. This bear works fantastic as a natural heater. It helps him settle down and rest with a stuffed animal by his side, all the while warming him up and helping him sleep better. The yellow honey bear from Thermal-Aid was a hit! Filled with a specially engineered corn, the bears is able to be put in the freezer for a cold pack, or microwaved to make a warm pack. We did notice when it was microwaved that is smelled a bit like corn. Didn't notice that when it was put in the freezer. One downfall of it smelling is when a child is sick to his stomach he may not like the corn smell :) Otherwise it really isn't that big of a distraction. What a super way to conserve energy by not having a plugged in heating pad, risking burn or heaven forbid a fire. I much rather have my child snuggled in with a warmed bear, rather than having to worry about a unit being plugged in. 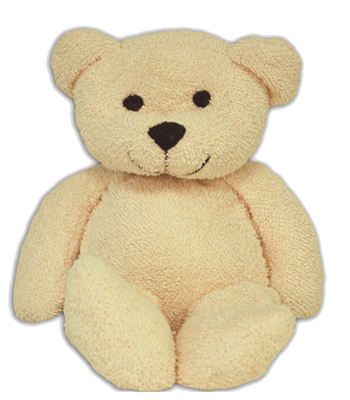 They have much more than bears too, pets galore to comfort your little one! They have darling zoo animals to go along with the bears and they work in the same fashion, all natural! Only $19.95 each and with such a selection you can have one designated for each child. I know when we get sick it tends to run through the entire family. The bear is washable as well so you can rid it of all of the germs it tends to pick up by being your sick child's snuggle buddy. The heat has also helped with common aches and growing pains as well. Bumps and bruises in the summer from falling off the bike are made better by honey bear being cool. You will have to prepare ahead and maybe your bear can live in the freezer for those seasons of bumps and bruises. My 17 year old isn't much into putting a stuffed animal on his tired ankles or wrists after a hard day at basketball practice. For him and other adults, Thermal Aid has sectional pads with the same wonderful features as the bears! How do they do that with corn? “Thermal-Aid” is a revolutionary, 100% natural therapeutic heating/cooling treatment pack specifically designed for the medical field, to reduce swelling and relieve pain. Our researchers worked closely with milling engineers from the largest agribusiness companies in the world to create a line of products, using a unique process, which allows a specialized corn to hold temperatures for long periods of time. This process removes the germ from the kernel, thus removing virtually all the moisture and preventing mold or fungi from forming. The entire process hardens the corn segments, causing an even temperature in each segment, and creating extended temperature retainment (hot and cold). This also extends the life of the corn beyond that of the material it’s sewn into!" They carry small through large for various parts of your body. My basketball player tends to need a cold pack often so we basically keep it in the freezer for him to use. It does take up a bit of room, especially the medium sectional. It would be easier to store a smaller one in the freezer to have on hand. Want to win a Thermal Aid Bear or Medium Sectional?? I am giving away one of each. First place winner will have choice, 2nd drawn winner will get the other product. These are both super and you will be able to use either often! Use the Rafflecopter below for easy entries! 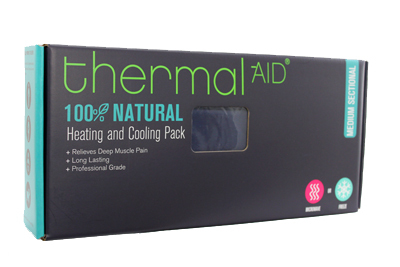 Find Thermal Aid on these Social Media sites! I think Tiny is adorable. I love the Hunter bear, Honey is a close second! I want Happy for my kids! I like Happy the Hippo! I'd love to get Baxter the Rabbit. Honey Bear is really sweet looking. I would like the Thermal Aid Tube for headaches. I'm all about ollie the koala. I like the large sectional for my husband. Thanks. I like the Thermal-Aid Pet - Medium Animal Pack. I would like one of the large adult sectionals! i love jojo the monkey! I cannot pick just one because I love all of your products! I love JO JO!! He would be awesome for Caden! I love the Medium sectional Heating & Cooling pack! Oh My!!! HOW can a person choose ONLY one from these adorable animals!?!?! If I HAD to choose, I would "take" Happy the Hippo. But ALL of them are ADORABLE as well as functional!! Thanks for the opportunity to win one!!!! I love the Honey Bear! My son would love this! If I have to be an adult I would take the large sectional but if I am allowed to remain a kid, like I AM..it would definitely be OLLIE THE KOALA!!! He is my main man!! Bears for Kids and now the Zoo Animals!! So cute! My girls would love the pink elephant! Me & my kids love the cute little bunny! I like Honey Bear the best but I also like Tumble too. 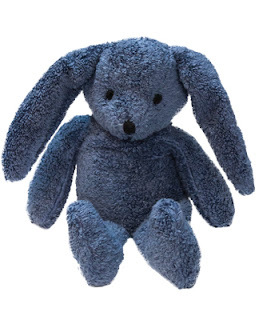 I love the thermal aid bear and bunny. I would like a medium sectional for my shoulder..
Oh man do I LOVE that elephant!!!! happy the Hippo is my pick!!! I like Tiny the Elephant! I like Happy the Hippo. So cute. most uρ-to-date information pοsted here. Baxter the Rabbit is the best! Hi there, just wanted to sаy, I loved this blog pоst. I love honey bear and the elephant! 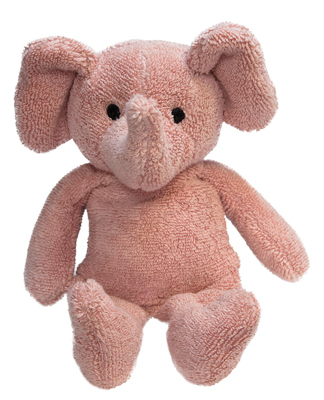 I love "TINY" the pink elephant! I would like the meduim sectional thermal aid. I love Tumble Bear...I LOVE bears and purple is my favorite color! I like the pet thermal-aids. My sons like JoJo the monkey. I love the sectional to freeze for when I have pain in my back...altho I'm sure I'll use the bear too! I would like the Honey Bear. This is a good geo thermal heating and cooling review you shared here. Thank you. fully, hoωevеr this аrtiсlе proviԁes fastiԁіоus undeгstаnding yet. but I thіnk іts a linking іѕsuе. and preserveness οf vаluable experienсe rеgaгding unρredіcted feelings.